Now, I’m not really one for bandwagon obit posts or tweets when someone of public importance dies. Generally speaking, I dislike the feeling of obligation to acknowledge that you’re aware the person is gone, accompanied by the awkwardness of not being able to say anything of substance that hundreds of people haven’t already said. But this is different. Because this blog has so much to do with my personal experiences with cinema, I feel like this is a situation in which I really should say something, because the scope of this loss, the impact that it has (not just for me, but for most of my generation), really does feel…well…personal. I’ve written posts regarding Williams a few times on this site, and it’s worth noting that all of those posts were reviews of children’s movies. For those of us who grew up in the 90s, Williams was practically part of our families. He was that crazy uncle who you were always excited to see—the one who told some jokes so great you wanted to pee your pants, and some you didn’t get until you were much older, but still laughed at because you knew at the core there was something genuinely funny about them. He was always “on,” and that frenetic pacing (undoubtedly the product of a mind that was constantly thinking, constantly working) was a major part of his appeal. But that wasn’t all of it. There was never a sense of mean-spiritedness about Williams’ public persona, or, with a few exceptions, his cinematic one. He was a great observer of human behavior, a skill that seemed to come from being genuinely interested in people. He often played characters that were extremely entertaining, likable or sympathetic—the English teacher we wish we’d had in The Dead Poets Society, the cross-dressing man-child father in Mrs. Doubtfire, the emotionally destroyed homeless hero in The Fisher King. For me, it only added to the sense of Williams as the wacky relative. At the center of all that craziness, there was someone with deep emotions who really seemed to care about the world. Now obviously, there was a lot more going on in that mind—and a darkness that the public at large never fully got to know. 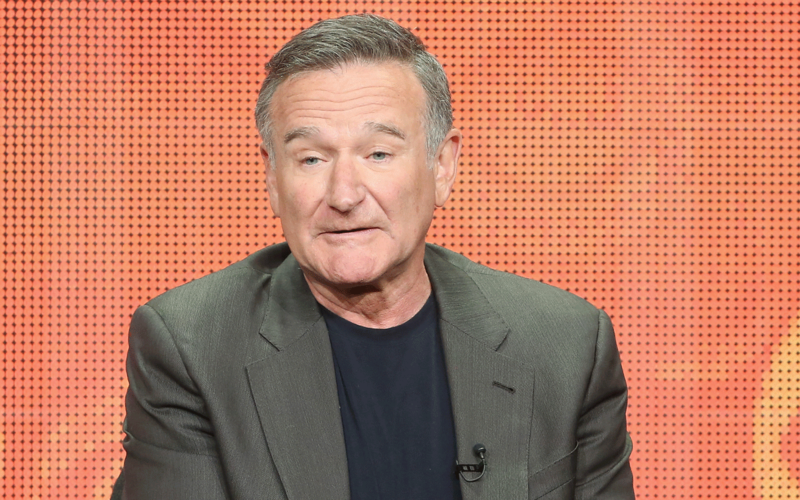 Williams certainly had his demons; he struggled with and overcame drug and alcohol addiction. His struggle with depression, sadly, wasn’t as successful. This particular remembrance I’ve written here obviously doesn’t cover everything the man did in his life. And there are parts of his work that, for me and for others, haven’t matured all that well along with us. But this is the image that’s stuck with me, and always will. Regardless of personal reactions to Williams’ style and work, it’s undeniable that he was a uniquely talented individual, and a person whose life touched others’ in countless ways. The world lost a crazy uncle this week, and that’s pretty damn sad.